Make sure you signup to our newsletter to be notified of all our Facebook LIVEs held this month, preview webinars and PRIZE winners (Over $10,000 in prizes to be won!). Get 1 FREE DRAW Ticket for the prizes too by signing up! 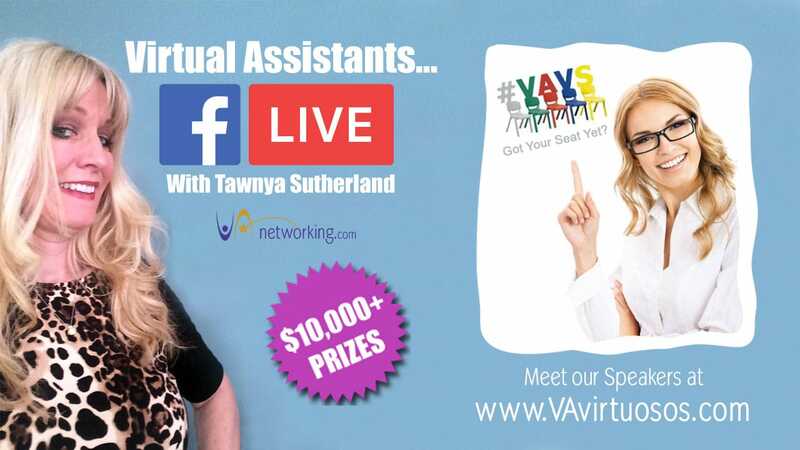 Join Tawnya Sutherland, your host at #VAVS online conference as she gets up close and personal on Facebook LIVE with our speakers. It will be educational plus fun as Tawnya interviews the fantastic speakers at our event. Tawnya Sutherland is a Certified Internet Marketing Business Strategist from the University of British Columbia and has owned her own VA business for 20+ years. Her online marketing skills founded her VAnetworking.com in 2003, the market leader in the Virtual Assistant industry. 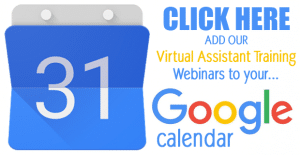 Tawnya has become the go-to spokesperson and expert trainer/coach for Virtual Assistants wanting to share, learn more, and grow their businesses.